We are one of the 270 National OK Tire Stores Inc. locations in Canada which allows us to provide the benefits of a large franchise; large volume buying power and discounts, the best-quality automotive parts and services and a Canada wide national warranty. Santing's OK Tire department team members are all fully-trained, experienced and qualified to assist you with any vehicle tire question and can provide valuable recommendations to help you identify the best tire for your automotive requirements. We provide tire and wheel installations, tire balancing, tire rotations & tire repairs. Wheel & Tire services on all automobile and light trucks with tires up to 26"
All Santing's OK Tire automotive staff is SEMA certified and qualified to work on any regular or custom wheel or tire. Our automotive staff is also highly qualified in recommending proper plus sized tires and wheels; they factor in load ranges, overall diameters and speed ratings. Santing's OK Tire has a complete line of wheels and tires for golf carts, wheelbarrows, lawn and garden carts as well as ATV vehicles. We also stock numerous varieties of inner tubes for both small and large tires. Santing's OK Tire store installs, balances, and repairs passenger and light trucks with up to 26" tires. All flat repairs for passenger and light truck tires are removed from the rim and repaired with a patch to provide a permanent repair. Our automotive staff performs an advanced chemical vulcanized repair of the tire and ensures a thorough inspection of all tire components searching for all potential internal and external tire damage. Many current vehicles are factory equipped with aluminum wheels and corrosion is commonly found between the wheel and tire seating area. This leads to tire rim leaks that are very aggressive during the cold, winter conditions because aluminum shrinks in cold temperatures. Santing's OK Tire has the solution with equipment called the Wheel Buff. 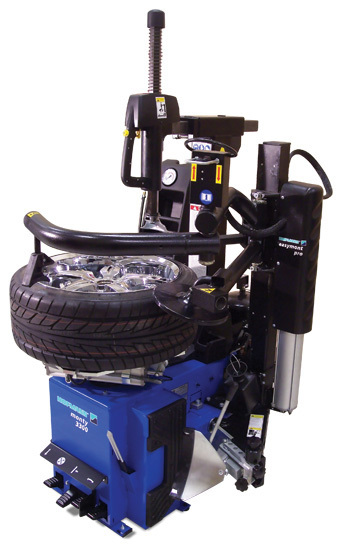 We separate the wheel and tire and place the wheel into this machine where a special wire wheel cleans the contact surface of the wheel to eliminate further corrosion. A sealer is then placed on the wheel prior to re-installation of the tire onto the rim successfully repairing any leaks. You can purchase automotive tires from Santing's OK Tire store or you may visit the OK Tire Store Inc. to choose your tires. 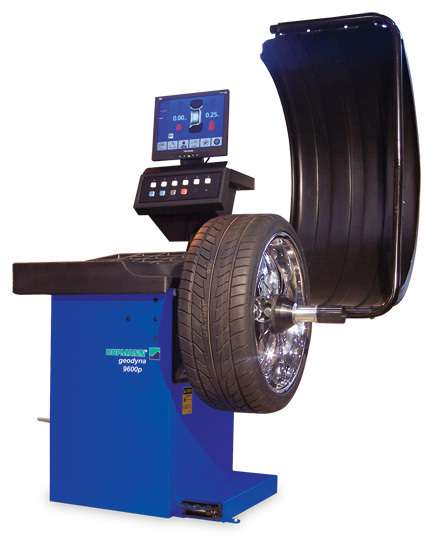 Once you have selected the tires you require contact our store for your personalized quote. If you are uncertain about the appropriate tires for you vehicle please do not hesitate to contact one of our tire specialists, they are highly trained and experienced to help you make the right tire selection for your vehicle.